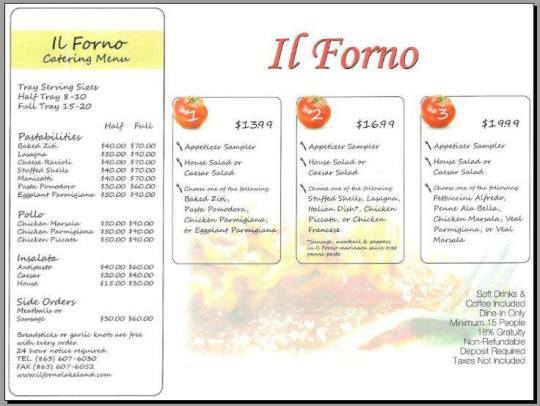 Il Forno Italian Restaurant: Come to Il Forno today! Please join us for dinner! Antipasto, what a great appetizer! Try our Pollo Vesuvio and/or Gnochi Gorgonzola! What do you put on your pizza? Don’t forget to claim your FREE garlic knots! What’s your favorite pizza topping? Sea salt caramel cheesecake! Yum! Don't forget to order your garlic knots! Are you hungry? Come to Il Forno for dinner!